Sonoma County Winegrower’s annual Grower Seminar, Tradeshow and Barbecue takes place on Friday, June 7, at SRJC’s Shone Farm. 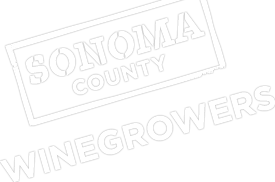 Growers are encouraged to check out the tradeshow and stay for the lunch served at noon with Sonoma County wine and presentation of the Viticulture Award of Excellence. The registration fee includes lunch with wine, tradeshow and seminar. Growers are $15 in advance or $20 at the door. Industry and public: $25 in advance or $30 at the door. Monte Lake is from the Washington, D.C. law firm of CJ Lake, LLC, and will speak on “Agricultural Labor and Immigration—A California and National Perspective on the Status Quo and Future Prospects for Reform." Mr. Lake is actively involved in Washington, DC on the agricultural labor/immigration reform debate representing a national coalition of labor intensive agricultural employers seeking reform in Congress, including many from California. Mr. Lake will address agriculture’s efforts to address the legal status of its current experienced workforce and create a new program that is more free market based and grower friendly as an alternative to the H-2A program. Mr. Lake will also discuss current worksite enforcement efforts by Immigration and Customs Enforcement, the likelihood of mandatory E-Verify, and the challenges of employers attempting to use the H-2A temporary and seasonal foreign agricultural worker program. Michael Saqui of The Saqui Law Group Counselors to Management kicks off the seminar with a 2012-2013 Labor Trend Report. Mr. Saqui is the first line of defense for agricultural employers up and down the state of California and a labor expert well-known in the North Bay and often called upon to address complicated labor and compliance issues. He will touch upon: Enforcement agencies and labor organizations – a historic collaboration not seen since the 1970s; The new Ag Labor Relations Act – developing trends for employers; and Employer’s Operational Preparation Guide – an operational self-audit approach to being prepared for whatever may come. Check out the full agenda at www.sonomawinegrape.org/bbq and register to attend by May 24.